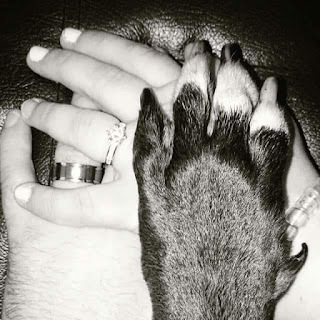 I guess you guys are lucky this week, as I said yesterday I am planning on blogging at least once a week but this week you are getting not one not two but THREE yes THREE blogs YAY!!! This blog is going to be a little haul. A few weeks ago I put a picture up on my instagram, which showed a couple of bags when I went on a shopping trip and I wanted to show you lovely people what I bought. So my first stop was Superdrug, I have had it in my head for a while that I have wanted to change my hair colour, so I popped in to have a look and I found a colour I loved. 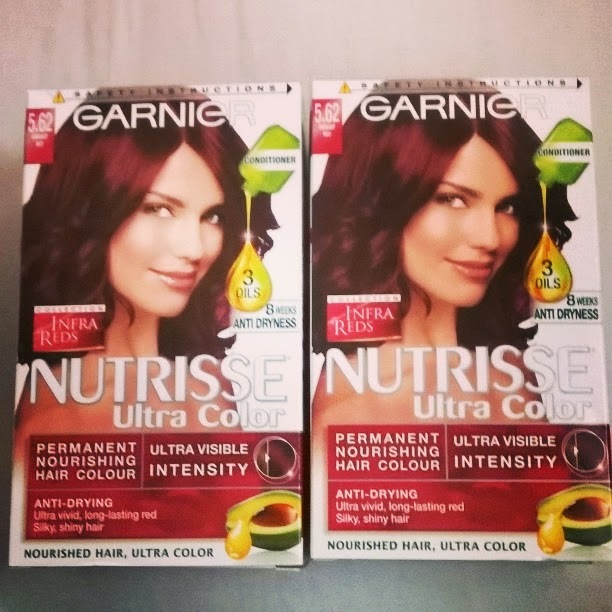 This is the colour I bought, it is Garnier Nutrisse in the colour Vibrant Red, I thought this was such a nice colour on the box, it looked like a bright colour but no too bright. Normally because I have quite thick hair I have to buy two boxes, so I did but I actually only ended up using one. When I bought these Superdrug had a 2 for £9 deal on, so if your thinking about colouring you hair check them out. Inside the box you get 4 things, you get the developer, the colour, a conditioner and gloves. 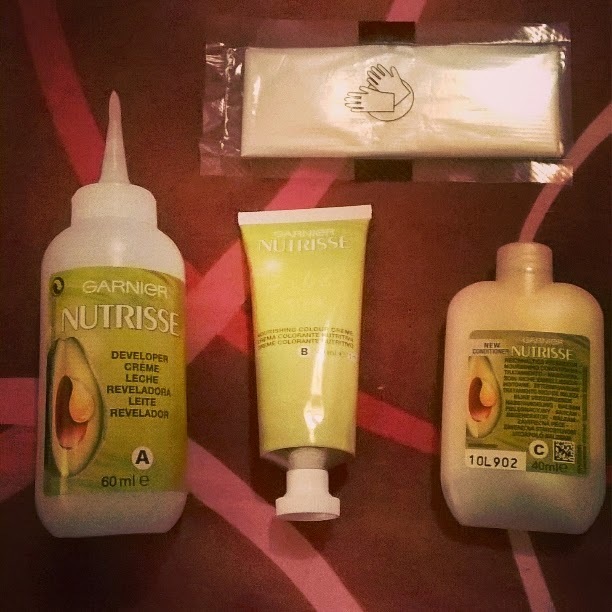 The other reason I chose Garnier is because they smell so nice. I have coloured my hair quite a lot and most of them smell so bad but this was so nice, such a sweet smell. Sadly the outcome of the colour wasn't as bright as I would have liked, but I have had it on now for a while and the colour is growing on me so overall even thought it wasn't what I thought, it is still a nice colour. The other thing I needed was foundation. I am a huge sucker for L'Oreal True Match foundation, it is the only one I have tried so far that has matched my skin so well. I have a weird skin colour its like a really pale pink, and so most foundations are a little bit too dark for me but L'Oreal's Rose Ivory is perfect. I think Superdrug were having a very good day when it came to their deals because it was 3 for 2 on L'Oreal, so I ended up buying two foundations, I did try and look for the concealer they do as well but they didn't have my shade. I didn't want to waste the deal, so I decided to get myself a new nail varnish (because the box full I already have is totally not enough). OMG I am now in love with L'Oreal nail varnish, I have literally worn this since I bought it and it hasn't chipped or anything. I got Scarlet Vamp 404 and I am in love, I need to find a lipstick that matched this because it is just to die for. I used my Sally Henderson base coat and MUA top coat, which I normally use and most of time my nails chip but these haven't. I would totally recommend it and it is only £4.99, they have some amazing colours. I went into Poundland because of my new obsession and that is vacuum packed bags, I love them, (yes my life is sad) I think there amazing. I have a lot of stuff because I used to live in a house but when I had to move back in with my parents I suddenly had to fit everything in my room so they have been a life saver. I had seen the adverts on tv for the big packs that are like £29.99 but you get loads but when I saw them in poundland I thought ooo give them a go, and trust me that work exactly the same. I bought two packs, a pack of 2 in are medium size, and then a large pack aswell, which is huge. I managed to pack so much into the large and it is now under my bed with all the items I use every know and again, I use the 2 medium for my bed sheets. When they are vacuum packed it takes the air out but it doesn't make your items smell or anything, they just stay exactly the same. I would say especially this time of year, that they are amazing for things like big jumpers. You can always rotate your wardrobe so you are able to vacuum pack all of your big bulky jumpers and coats ready for next year. I totally recommend these. I am so proud of myself as well I found an amazing bargain when I went to the checkout. 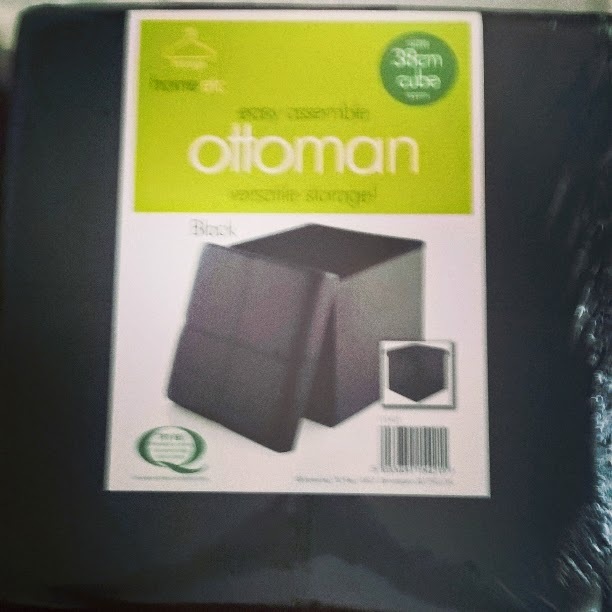 They had these little Black Leather look ottoman's behind the counter and when you spend £3 you can have the ottoman for £8 normally on its own it would be £18. 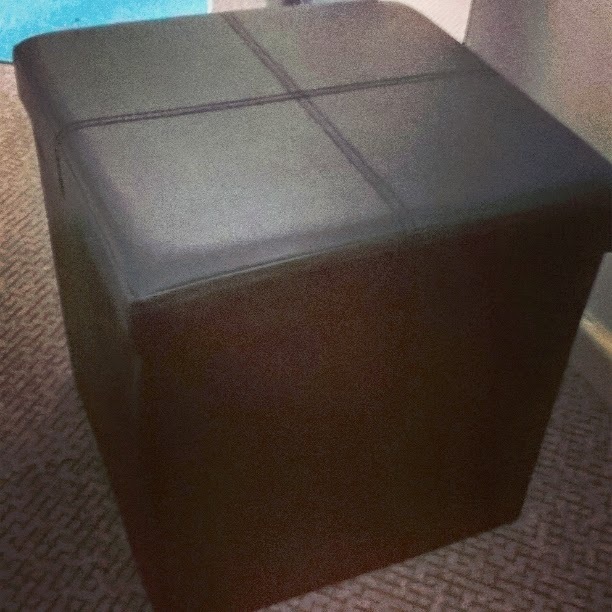 It is totally flat pack, and it pops straight up and I love it. I love it, it matches my bed frame perfectly, and fits at the end of my bed. 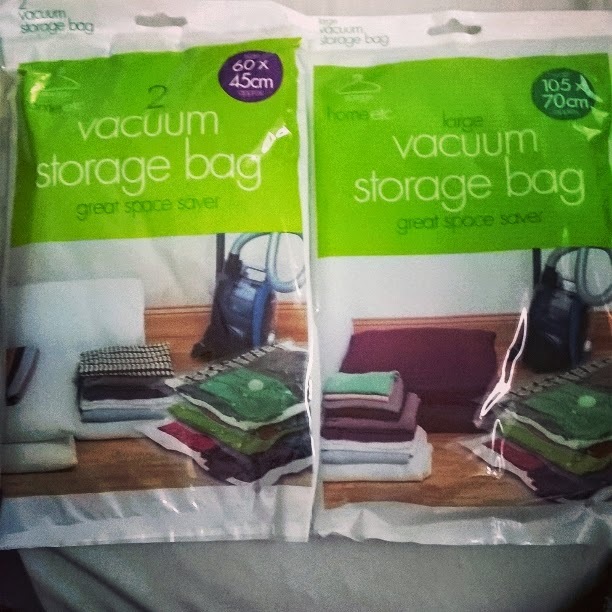 I have used it for storing my bed sheets in the vacuum pack. I love this so much that I am thinking of going back and getting another so it is nice and symmetrical hehe. The lid has the leather feel to it and the sides are a canvas material. Hehe, I am obsessed with caramel and I love these so I decided that treating myself to make up just wasn't enough so I got this too. They are LUSH!!! So guys that is it for this haul, I hope you like it and I hope its given you a little insight into a couple of products. 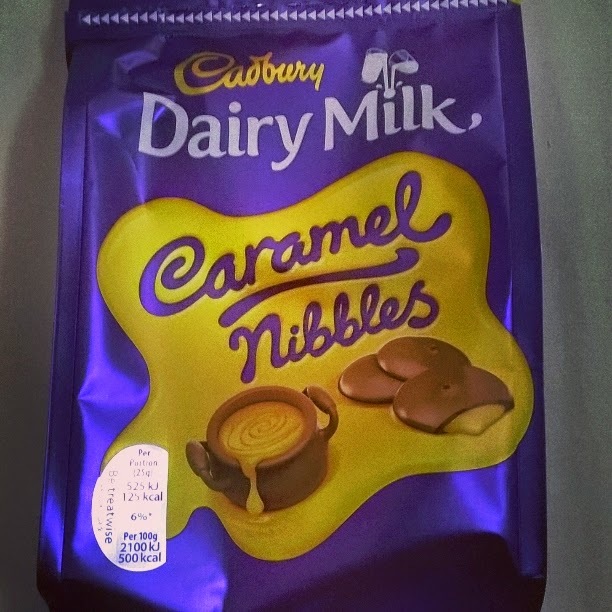 i love the caramel nibbles! 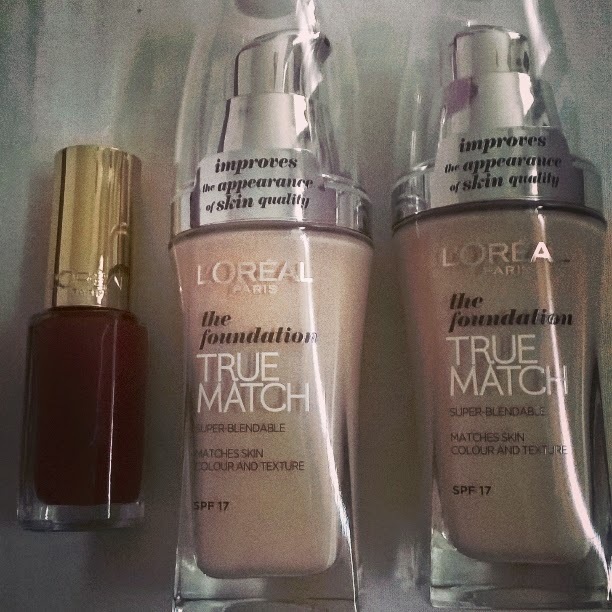 want some now hehe ive been meaning to try the true match foundation for ages.